Escape to the country on a fishing holiday. The following locations can provide self-catering accommodation in country cottages and various types of self-catering accommodation with lakes stocked with trout or other fish on site, or can provide advice and information about where best to fish nearby. So pack your waders, your fishing rod and plan to look forward to spending time by a beat, fishing lake or river. 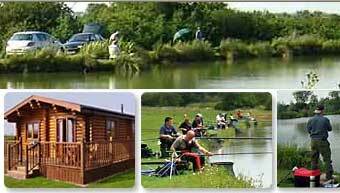 Some of the self-catering accommodation for fishing breaks is suitable for the disabled. This is a superb 3 bedroom 2 bathroom luxury cottage. This holiday cottage has a wonderful secluded location above the Bridge of Alvah and gorge. Yet if you need to pop in to town, the cottage is just 2 miles from the historical town of Banff. Banff on the Moray Firth coast is known for excellent walking opportunities and picturesque fishing villages. This self-catering accommodation near Banff is perfectly located for the castle, whisky and coastal trails in this part of Scotland. It is also a treat for walkers, golfers and obviously for those who enjoy fly fishing as the owners of this cottage have their own bountiful Salmon and Sea Trout beat just 200 yds from the cottage on the River Deveron, which is one of Scotland's top five rivers. Facilities at this cottage include a plasma TV and Sky sports TV. For your entertainment, all bedrooms have Sony Bravia LCDTVs and DVD players. The garden has a truly beautiful spot as at the end of the garden you can see the the river run through the bridge and gorge. This is a lovely place to sit back and relax and watch salmon and troup jump or spend the afternoon reading a book. This is a truly lovely part of Scotland, teeming with wildlife and many beauty spots. Click on the photograph for details of this fishing holiday in Scotland. This log cabin is located near a river in St Michael's on Wyre and benefits from a peaceful rural location. The lodge was constructed relatively recently and opened for self catering fishing breaks in January 2010. A stay in this cabin includes fishing for free in the two nearby coarse fishing lakes for up to 2 people. Additional people staying at the lodge can also fish but charges apply. The lodge accommodates up to 4 people in one double bedroom and one twin bedroom. The cabin is dog friendly and up to 2 dogs are welcome by arrangement. Unfortunately no children under the age of 16 are permitted. The fishing lakes contain a mix of fish including mirror and common carp, crucian carp, perch, roach, bream, tench, rudd and chub. With such a selection of fish this place really is a paradise for those who love to fish. Another highlight of this cabin is that the owners have fishing rights for part of the River Wyre at the back of the property, so it's also possible to fish here but additional charges apply. Call the owners to find out more about the arrangements for fishing. Beacon Hill Farm, 15 cottages at Beacon Hll farm in Northumberland. These cottages offer luxury accommodation and enjoy a farmstay location. The cottages have all been awarded either 4 or 5 stars. Of note for those who enjoy fishing, there is a 2 acre lake with fly fishing for trout. Also if you enjoy fishing but your partner doesn't share your enthusiasm then a holiday here could be for you. There are fantastic leisure facilities Including a pool, jacuzzi and gym. Horse riding is also possible nearby in season. At Poachers Hideaway there are six luxury cottages in a farm setting. Lovely location in the Lincolnshire Wolds. These cottages were the winner of the 2005 Best Self Catering Holiday of the Year in the East Midlands area. The cottages are all different, and some sleep 2 whereas others sleep 6. Facilities on site include a jacuzzi and sauna. Internet access is available. 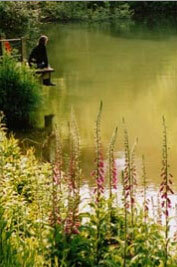 There are well stocked lakes and those staying at the cottages can fish for trout, carp and coarse. If you have a dog, do ask us about our dog kennels. 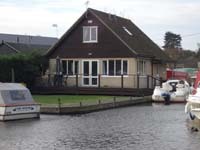 Find 3 smart self-catering fishing lodges set around a well-stocked lake with coarse fish carp, bream, rudd and tench. These lodges are on a farm and not too far from the Lincolnshire Wolds. The lodges vary in size. Some have 3 bedrooms (sleep 6) and others have 2 bedrooms (sleep 4). Most of these cabins enjoy lake views and have pleasant outdoor decked areas where you can sit out and relax or dine al fresco in the summer. All the cabins have been furnished to offer high quality self catering accommodation. Some lodges also have king sized beds. A no smoking policy applies and the cabins are dog friendly by arrangement. 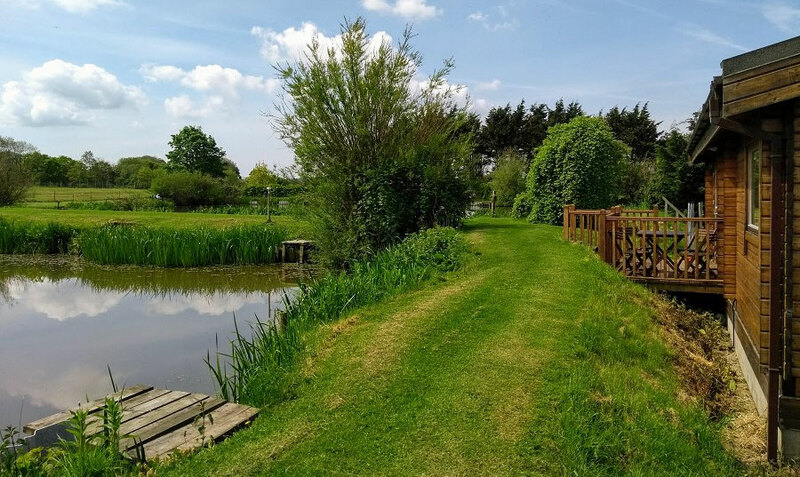 Please click on the photograph to find out more about these fishing holidays at Rural Roosts self-catering lodges in Lincolnshire. It's not often that you find a house just by the waterfront. This self catering chalet though is such a house so if you enjoy being by the river and fishing then this could be a perfect holiday for you. This chalet even has its own dinghy which you can use during your stay. With good fishing available direct from the front of this chalet or on the river itself in the dinghy provided, this lodge should be great for anyone who loves messing around by the river. What's more, there is lots to see and do in this part of Norfolk. Explore the Norfolk Broads, visit Norwich for shopping and sightseeing or simply enjoy walks in the Norfolk countryside. Or enjoy a day at one of Norfolk's beautiful beaches. 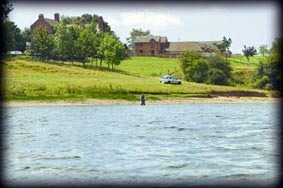 Six self catering barn conversions in Staffordshire countryside located around a large fishing lake. The lake is 750 acres in total! Situated near the historical village of Abbots Bromley, the standard of accommodation offered here is high and the cottages have been awarded 4 stars. The cottages vary in size and have adorable traditional features such as oak beams and wooden floors. The cottages also benefit from private patios where you can sit out and enjoy views of the lake and also flat screen tvs and dvds for your enjoyment during your stay. Other features here include a communal games room with pool table, communal laws, a playing field for ballgames and a children's play area. A strict no smoking policy applies to the cottages. Although not an exclusive dog friendly development, dogs are welcome at certain cottages, ask for details though as not all the barn conversions are dog friendly. If you prefer, you can combine fishing with your family cottage holiday, there are plenty of visitor attractions in the area for you to visit for days out. Please click on the cottage image above for more details. 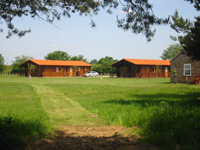 These lodges are located near the charming town of Melton Mowbray in Leicestershire. These log cabins benefit from a peaceful country setting and are surrounded by 150 acres of countryside. These lodges should be an anglers delight. There are seven coarse fishing lakes here! Lakes are kept well stocked and can be fished on a day ticket basis. Those taking a holiday here have use of the private lake for residents so remember to bring your fishing kit. It's also essential to mention the quality of accommodation offered here. Some cabins have been awarded a 4 star grading whereas others are 5 star. The lodges have been kitted out with guests comfort and enjoyment in mind. Some are by the lakeside whereas others are just a short walk away. Each and every cabin has its own outdoor private hot tub, perfect for relaxation. Each also has its own bbq and outdoor furniture so you can enjoy dining al fresco in summer whilst taking in the glorious views of the surrounding countryside. Click on the photograph for more information or to book. Old Barn Cottages, are as the name suggests, self catering barn conversions. These barn conversion are located near the Lincolnshire Wolds, a recognised area of outstanding natural beauty. The cottages are in a beautiful country setting surrounded by fields and woodland. There are 3 comfortable cottages which each benefit from attractive period features such as exposed oak beams. There is a private lake here where guests can enjoy fly fishing. Within the grounds there is also a picnic and bbq area and also a nature trail which takes you through the private woods. It is also possible to play croquet on the lawn. Each cottage has its own patio garden where you can enjoy views of the surrounding countryside. Well behaved dogs are welcome. Good location for exploring Lincolnshire. The historical city of Lincoln is just 15 miles away. Click on the photograph to contact the owner for booking, questions about fly fishing, or just to view interior images of these cottages with their own fishing lake and private woodland. 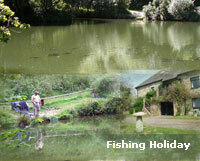 There are self-catering holidays in Cornwall with excellent facilities for those who love to fish. There are 6 fishing lakes here. In the larger lakes you can find carp and bream, as well as other fish. Whereas in the smaller lakes there is roach, rudd and tench. Accommodation is available in self catering apartments, within attractive stone barn conversions. In total there are 24 acres of grounds, making this a lovely setting for a self catering holiday. The grounds include gardens, woodland and fishing lakes. There are outdoor tables and chairs within the grounds so you can sit out and enjoy the setting and also bbq facilities. The apartments vary in size and there are 1, 2 and 3 bedroom apartments. Within a 40 minute drive you can visit the famous Eden Project and also the beautiful Cornish coast. Dogs are permitted at an additional charge. For your convenience, there is a lodge where you can store your fishing equipment. There is also a private car park. View a list of cottages with fishing lakes nearby throughout the UK and Ireland. Click on the fishing holiday photograph for details. 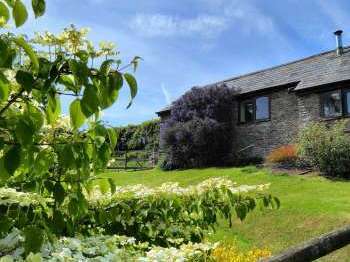 Sunridge Lodge is a charming stone built barn conversion offering a luxury standard of self catering accommodation to sleep up to 5. The lodge benefits from a peaceful country setting within the South Hams of Devon, an area of outstanding natural beauty. The lodge has charming exposed beams and offers high quality accommodation. This is a secluded spot with woods nearby, perfect for keen wildlife watchers. Within walking distance of the lodge there is a private fishing lake where it is possible to fish for carp. If you are looking for a peaceful retreat with great facilities for fishing then this could be for you. Just 5 minutes away from the local beach. 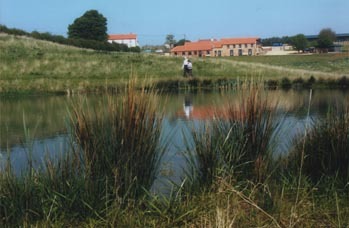 Click on the photograph of the lake on the right for details of a self-catering holiday combined with a spot of fishing. There are 5 lovely comfortable pet-friendly barn conversions to choose from at West Venn Cottages, each with free WiFi and private coarse fishing available for guests. There is one large lake on site for the exclusive enjoyment of guests only. On this well stocked lake guests can fish for carp, tench, bream, catfish, pike, roach, rudd, perch and gudgeon. Coarse fishers can enjoy relaxing days fishing on site. Whereas if you want to try your hand at sea angling, head to the coast where there is excellent rock and beach fishing. If you enjoy game angling, there are rivers and streams nearby (day passes essential) where you can fish for salmon, sea trout and grayling. Click on the photo to find out more about a self catering cottage with free fishing for guests in Devon. Private rural Lodge sleeping up to 9 in 5 bedrooms offers comfortable accommodation with great dry fly fishing opportunities on the River Frome. 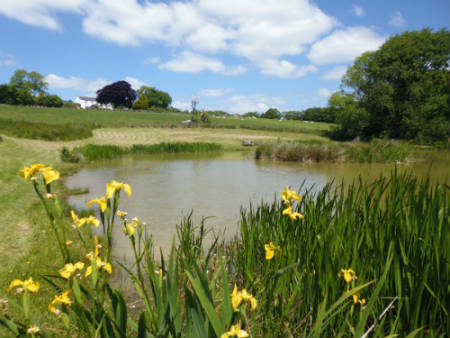 The Shooting Lodge on the Wrackleford estate in Dorset is a good choice if you enjoy fishing. Whilst staying here it is possible to fly fish on the River Frome. The estate has eight fishing beats for fly fishing on this river for one or two rods. There is also a stillwater lake. It is possible to fish on the various beats on a day ticket basis. When you book a stay at the lodge you get 1 days fishing for every 3 days you stay but please note that this must be booked in advance with the office. Find lots of opportunities for fishing on the west coast of Scotland. Fish free from a private pier or take out a little rowboat on to the loch. There is a whole range of holiday accommodation near good fishing lochs and rivers in Scotland ranging from simple pine lodges up to luxurious accommodation. Pet friendly lodges and cottages are also available to rent so that you can take your dog along if you wish. From this location on the west coast explore the Highlands and islands of Scotland at your leisure. The town of Killorglin which overlooks the River Laune, 5 minutes drive from the house. This is a popular river among anglers, as the river enjoys a run of salmon and trout throughout the year, and a good spring run. Cromane , Caragh river in Carragh Lake (15 minutes drive) is also renowned for salmon and trout fishing, and other types of fishing. St. Anthony's is a comfortable 3 bedroom cottage accommodating up to 4. Dogs are welcome by arrangement. The cottage is attached to the owner's home in the pleasant village of Lauragh, in a peaceful setting. Please note that electricity here is by a coin meter. If you are looking for a quiet self catering break in Ireland then this could be great for you. In Lauragh there is a pub, shops and post office. Traditional music is very often played at the local pubs and recommended. Click on the photograph to book your fishing holiday in Kerry, Ireland, now. This luxury log cabin is on a farm setting in a Welsh valley and accommodates up to 4 in 2 bedrooms. Just click on the photo to see the wonderful country views. 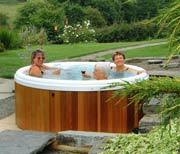 For your relaxation and enjoyment there is a private hot tub. This is a great lodge for keen wildlife watchers. There are excellent birdwatching opportunities, kites and buzzards are commonly sighted. There are also excellent opportunities for walkers. A trail from the farm links to the Offas Dyke footpath and the Trail of Glyndwr actually runs through the farm. Guests are welcome to explore the farm and take in the stunning views of Radnor Forest, the Brecon Beacons, the Black Mountains and even the Malverns on a clear day. There is a pool which is well stocked with brown trout, and fly fishing with barb less hooks is available at a daily rate. Coarse fishing is available at the nearby Pen-y-Clawdd Pools. All accommodation on the farm is non-smoking. Sorry no pets as we are a working farm. 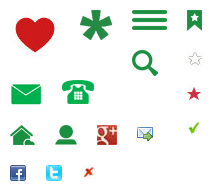 Click on a photograph to find out more. There are 3 self catering properties at Boatside, a peaceful small holding, on the banks of the River Wye. These are Edw Lodge (sleeps 6), Ferry Lodge (sleeps 4) and the Cidermill (sleeps 2). The Cidermill at Boatside is a stonebuilt cottage located near to the river Wye. The location is great if you are looking for peace and quiet. Walking, fishing and bird watching opportunities abound. At Boatside there is around half a mile of fishing for a small extra charge. You can both game and coarse fish, in a number of different river environments ranging from slow pools, fast streamy sections, rapids, and deep channels. Fish for chub, dace, pike, trout, grayling and even eels in deep water. Please click on one of the photographs for a full description of the accommodation and fishing holiday.. Located within the hamlet of Middle Mill in the Solva valley is this 2 bedroom stone built cottage, which is set within the grounds of what was previously a corn mill. Here there is a trout stream. This cottage is well located for exploring the Pembrokeshire coast and is just 3 miles from St Davids with its glorious cathedral. 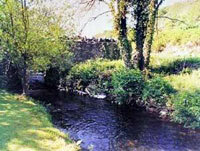 Beyond the patio, there is access through the Mill's gardens to the river Solva, where you can fish for trout. Just a mile away you can find Solva's shops, pubs and restaurants. Click on the photographs for details of this 2 bedroom cottage and fishing. Stone built self catering cottage offering comfortable accommodation in a beautiful valley location in Snowdonia, Wales. This cottage is great for those who love the country as it is set within the 120 acre grounds of a farm. Enjoy beautiful valley views from the decked garden terrace outside the cottage. This is a character cottage with charming features including oak beams that has been graded 5 stars by Visit Wales. Sleeps up to 4 in 2 bedrooms. This cottage enjoys exclusive Prince Albert fishing rights. Fish for salmon and sea trout. 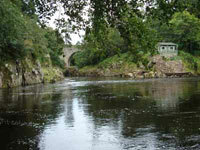 2 rods are available on the River Wnion at Rhydymain.